Ansel Adams expresses his opinion of Arthur C. Pillsbury's work. On October 15, 1978 Dr. Francis Pillsbury receives a postcard from Steve Harrison, putting off his visit. Adams responds with a letter dated October 23, 1978. 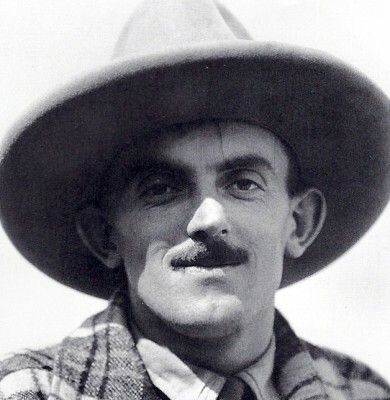 In the letter, Ansel Adams says, “Thank you very much for your interesting letter of October 19th (apparently the day the letter was received by Adams) I knew Mr. Pillsbury very well indeed when he had his studio and shop in Yosemite where he developed his lapse-time photography of flowers. ​ The letter continues. However, what Adams has told Rell about appraisals is a lie. There is no licensing required for appraisers. They can choose to have training and be certified by an association, but this is not required for individual assessors, nor for institutions for tax purposes. It is true, however, that this will delay any decision on the materials by Rell. More research will be needed. 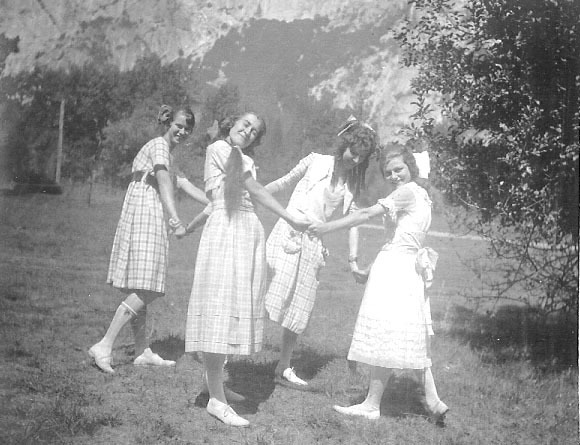 No calls were made to Dr. Pillsbury, or to his sister, Grace Pillsbury Young, each of whom who has remained in contact with Virginia Best Adams since they were playmates in Yosemite. Virginia is well aware that Dr. Pillsbury has wanted to know what happened to the collection from the time his father died in 1946. No one tells Dr. F. Pillsbury, this body of work, less than 5% of what AC Pillsbury produced, from a minimum of 100,000 of numbered stills, though the largest found to date, is now partly at BYU, and the balance of it in the possession of Rell Francis. Eventually, we will find out there were over 5,000 stills and, just as important, professional correspondence and other records of his work. In 1978, Dr. Pillsbury had been retired as a faculty member at the University of California, Los Angeles (UCLA), for only five years. He has multiple family members with similar academic backgrounds well able to assist in setting up a 501(c)3 non-profit corporation or trust to preserve far more complex collections. As documented earlier, Dr. Pillsbury's own collection of letters and documents will be archived at the University of California, Riverside. He would have welcomed the opportunity with open arms. Worry over conserving his Father’s work, for the purpose of restoring his strangely missing legacy, was lurking in his mind, growing until his family could no longer fail to notice. His own work concerned him not at all, it had been handled in a timely and efficient manner, as he dealt with everything in his life. Out of Dr. Pillsbury’s sight, things started to happen. Phone calls are being made and people contacted, chief among these, Steve Harrison, who on behalf of the Adams family had earlier undertaken to find out if any suspicion on the origin of the fire existed. Ansel and Virginia Adams know Dr. Pillsbury kept his promise to Virginia Best Adams. But now, a cache of photos, unquestionably by Pillsbury, has been found. They want desperately to know which images and films were at BYU. Harrison is anxious to ensure Rell does not learn Pillsbury had immediate family, people who have a continuing interest in ensuring his legacy is remembered and understood. Harrison’s real interest in Pillsbury has arisen from the opportunity to provide a significant service to those seeking to keep Dr. Francis Pillsbury from finding out the AC Pillsbury Collection exists. This could be his ticket to full-time employment in the NPS, if Harrison succeeds, Ansel and Virginia Adams can make this happen. Harrison goes on to tell Rell, Virginia Adams heard about the collection being found, not from her husband, but from a woman named Joan Ciesla who, he says, is from Spanish Fork, Utah. Despite multiple attempts, we have been unable to locate a woman by this name, and there is doubt she ever existed. Why did Harrison lie? Ansel, presumably, would have mentioned this fact to his wife immediately. Three months pass before Harrison makes contact with Rell. What was happening during those weeks? 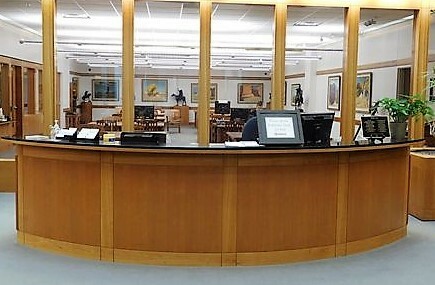 A possible explanation was a check of the photos in the ‘Adams Collection’ so a list of those which originated from the Pillsbury Collection could be listed for cross-checking with the Pillsbury Collection, either at BYU, or in private hands. To be thorough, the images originating from the Foley, Boysen and Fiske Collections should also be checked, as far as possible. The curious reoccurrence of fires in the Adams’ history, should have rung alarms for more than Adams and others’ insurance carriers. A fire is a boon to failing businesses but can also remove competition, explain the lack of images to cross-check, and provide a very different kind of security. In 1927, when the Parmelian Portfolio was put out, Ansel could initially produce only 17 photos worth publishing, according to his autobiography. More were needed so that, Albert Bender, wealthy patron of the arts, who paid for having the Portfolio printed, could extend this kindly service to Adams. Bender bought ten copies of the Portfolio himself, and sold the rest to his wealthy friends, most of whom knew Stephen Mather. This was likely a pre-payment to Ansel Adams for the planned burning of the Pillsbury Studio and or removing the enormously valuable negatives and films. Adams, holding the negatives, for his own use and for leverage, may have been part of the deal cut with Mather. Or, Adams is just taking steps to protect himself from possible prosecution as an arsonist, or from being 'removed' for knowing too much. He needed not have worried, the National Park Service did not investigate. During this period, Harrison has no contact with Dr. Pillsbury. Dr. Pillsbury’s old friend, Virginia does not contact him but now is reassured he has not revealed what Tomkins told the then 23-year old Dr. Pillsbury in 1928, which sent him to immediately confront her and her new husband, Ansel. If the fire was the only issue, Virginia, Ansel and their family would have had no reason for concern. But clearly this is not the case. ​written, which Harrison concealed, shows his motives very differently. Harrison has a strong desire to achieve a nearly impossible goal with the National Park Service, due to his lack of qualifications. Acting as an agent for the Adams is a viable route to achieving that goal. Harrison is a part-time employee of the Park System. His earnings are low, and his goal is to become a full-time employee who will receive a far higher salary and benefits. Normally, this would be impossible for him to achieve. Harrison had no advanced degrees or a college education. He had no special qualifications, according to the introductory letters he wrote Dr. Pillsbury. While he was writing “ His Camera Was His Goldmine”, the article he boasted having published in The Alaska Journal, he stated in the LETTER to Dr. Pillsbury he needed his wife to edit it down to the required length of under 3,000 words. He obviously viewed the article as a major accomplishment when it simply strung together antedotal stories about Pillsbury, providing no significant understanding of his work or character. Both Paul Berkowitz, “ Legacy of the Yosemite Mafia: The Ranger Image and Noble Cause Corruption in the National Park Service” published Jun 1, 2017; and Andrea Lankford’s book, “ Ranger Confidential: Living, Working, And Dying In The National Parks” , published Apr 2, 2010, chronicle the struggle of highly qualified individuals to achieve the status of full time rangers for years, accepting short-term work in the NPS, with low pay and without benefits, taking seasonal jobs to keep themselves available. The Agency is clearly run in ways which ignore any semblance of consistency or adherence to business-like standards. Rangers can be reassigned in rotations to other sites, keeping them from learning too much of the history of the Park where they work. Berkowitz reported shocking incidents of the failure to train rangers for peace officer work, necessary when large numbers of people are using the same areas. Rangers lack the historical information needed to carry out their jobs. Harrison explicitly wrote Rell he was researching Pillsbury history. The materials Harrison said he needed to access were photographic materials, and movies and business letters. This would lead Rell to think he was interested in returning Pillsbury’s life body of work to public view, but this is not the case if you observe his actions. This clearly worked. Rell was deceived and therefore assisted Harrison. Dr. Pillsbury would have been the best possible advocate to make these materials available. He understood his father’s work intimately and had the academic standing to draw in others to restore films, catalogue, and help the public understand Pillsbury’s work. Dr. Pillsbury had a legitimate claim to carry out this work and an expressed interest in so doing. A life’s body of work includes written work, inventions, published papers, articles, books, the impact of the body of work on previous technologies, markets, theories and culture; including, when appropriate, resistance to the ideas, when these, are themselves, part of what is being produced. All these areas would need to be present and integrated for the reader to have a meaningful knowledge of Arthur C. Pillsbury. Nothing like this is present in Harrison’s writing, which is a series of incidents from Pillsbury’s life from which the reader can draw little significance or understanding of Pillsbury, the subject. Pillsbury was a scientist who choose the non-academic application of his ideas to real life problems, using technologies he, himself, developed. He then used the non-academic but burgeoning medium of film to exhibit his ideas in dynamic, iconic form. He did this using the medium of the free-market, presenting his ideas and letting people decide whether or not they wanted it. Using the movie industry this way was a brilliant move, a flanking movement on formalized education and the elites who then were starving out or buying out original work from inventors who did not think strategically, believing their inventions would benefit them as the inventors. Instead, these were often extracted from the inventor for nominal amounts and then used to enrich the already wealthy buyer. Harrison had previously indicated he was not interested in Pillsbury’s photographic and cinematographic camera inventions. But this is not what is conveyed to Rell, who sees the value of the collection in his possession with discerning eyes, and can identify the excellence of forgotten artists and photographers whose work should not be allowed to be lost. Rell had twice rescued the work of respected but forgotten individuals from loss to later generations. The first of these was George Edward Anderson, whose work chronicling the early years of the Latter-Day Saints in Utah, would have been lost forever without Rell Francis’s intervention. The second was Cyrus E. Dallin, a gifted sculptor. Rell Francis wrote a book about each of these gifted artists. Pillsbury was a mechanical genius, who could have become wealthy running many different businesses. But because of his determination to bring an understanding of Nature to people everywhere, he wanted to be in Yosemite Valley. To achieve this, at the insistence of Stephen Mather, he closed his other studios, one in San Francisco and one in Pasadena in 1924. This left AC Pillsbury in debt to construct his larger studio, Nature Center, and theater in New Village. Pillsbury was the first concessionaire to move his operation to Yosemite New Village. Now, he was vulnerable financially. His mistake was underestimating the lack of conscience possessed of Stephen Mather. On January 22nd 1979, Harrison finally wrote to Dr. Pillsbury. He did not mention that the collection had been found, when he put off their meeting. On the same day, January 22nd 1979, Harrison writes another letter to Rell. I, Melinda Pillsbury-Foster, received all of the records, including correspondence in Father's possession. These were provided to me as the person in charge of correcting the inaccuracies and restoring the legacy of Arthur C. Pillsbury. Other members of the family provided copies of photos. This included Father's correspondence with Steve Harrison. The correspondence between Steve Harrison and Rell Francis was provided to me by Rell Francis after he contacted me. He was shocked to realize how Harrison had lied to him and why. I was able by then to explain this to him. In the letter to Rell, Harrison pretends to agree with the obvious wish of Dr. Pillsbury to renew knowledge of his father’s legacy, while he conceals that legacy. He also presents Dr. Pillsbury as a nephew, not as AC Pillsbury’s adopted son, and further lies, saying there are no relationships with academic institutions in Pillsbury’s family. Dr. Arthur F. Pillsbury, PhD, Stanford University, Civil Engineering. Susan Knox Pillsbury, PhD, Biophysics, University of California, Davis, Stanford University School of Medicine, M. D.
This mantra, that I was not the appointed head of the ongoing project for restoring the legacy of AC Pillsbury and was not his grand-daughter, but his great-niece, which I encountered from the National Park Service, echoes through Harrison’s lies. In 2014, disgusted with the assertion Father and our family, were not his heirs, forced me to send a copy of the adoption papers to the Superintendent of Yosemite. They did not acknowledge receipt, but the denials at last ended. In November of 1911, Pillsbury sat down with all three of the orphaned children and told them he wanted to become their father. He then filed a petition with the Court in Alameda, County, California, where he lived, and the adoption was approved by the court on November 13th. Father and his two siblings were present and addressed by the judge. Adoption Papers Dr. Pillsbury, then just turned six, clearly remembered this event and recounted the memory to family members, including his daughter, Melinda. In his letter of February 14th 1978, Dr. Pillsbury corrects Harrison on this point making it clear a legal adoption had taken place. To his children, Dr. Pillsbury always spoke of ‘Uncle’ as his father. Dr. Ernest, his birth father, was never mentioned, and Dr. Pillsbury did not even have a photo of him. He would tell his daughter, Melinda, he could not remember anything substantial about him. What moved Virginia and Ansel Adams to employ Harrison to contact Rell in a bald attempt to acquire the newly revealed Pillsbury Box still held by Rell Francis? When this situation unfolds, Harrison has already written the 1977 Yosemite Sentinel article denigrating and marginalizing Pillsbury. This could have been solicited by the Adams, or it could have brought Harrison to their notice as a possible double-agent. Calling someone your father does not necessarily mean the three components for human relations exist for a man and his biological son. For instance, Dr. Michael Adams never called his biological father, married to his mother legally, ‘Father.’ He always addressed him as ‘Ansel.’ But legally, and financially, he is viewed as Ansel’s son, even though Michael Adams told Rick Norsigian, while visiting him in his home, he hated Ansel. In that relationship, as a father, Ansel was not available to Dr. Michael Adams. Dr. Arthur F. Pillsbury had a father who loved him and demonstated the meaning of Fatherhood. I know, because he, in turn, demonstrated this to me and all of my siblings. My grandfather was for all intents and purposes Arthur C. Pillsbury. 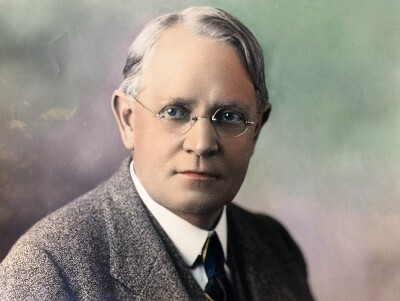 Recently, I found a newspaper illustration of Dr. Ernest Sargent Pillsbury, AC's older brother, but my father had no photo of him and never mentioned him. But he was clearly an intellectually honest man, too. Grace is smiling at the father she loves. family when his father died, especially of issues of his work. Father was the one person AC turned to when he encountered technical issues he wanted to discuss or which needed to be handled. And I was the only person in our family Father felt had the tenacity to handle the problem of restoring AC's legacy to the world. Dr. Pillsbury had a strong technical background, academic connections, and had promised to take care of ensuring his father’s work was preserved after his death, which came far earlier than expected by anyone, because AC Pillsbury seemed indestructible. The adoption filled a gap in the life of AC Pillsbury. Through adoption, he would have children who were biologically related to him, and also ensure they were raised as their mother and father, and his mother, Dr. Harriet Foster Pillsbury, their grandmother, wanted. AC Pillsbury and his brother, Ernest,Senior, had always been close until Arthur Pillsbury married AEtheline in the flurry or disruption following the San Francisco Earthquake and Fire. AC rescued her and her brother, Jesse, with whom she was then living with her son from her first marriage, named Arthur for her husband, Dr. Arthur Deuel. AC Pillsbury had known for years he was sterile. To get his wife, AEtheline, to consent to his adoption of the three children, an agreement was made. The money paid by Title Insurance Company as support to the children, who had seized the entire estate of Dr. and Mrs. Ernest Pillsbury, would go to AEtheline each month. She would not be asked how it was spent. Additionally, the children would live with their new father in Yosemite for half the year. This suited the children perfectly, as they became acquainted with AEtheline and her avaricious and conniving ways.